The village has a small but dedicated Astwood Bank in Bloom team and looks lovely all year, with large planters and small troughs around the area. 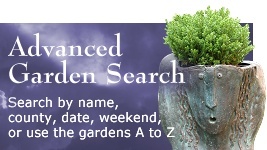 There are plenty of gardens to wander around and pick up tips and ideas. There is a Flower Festival at the church and a free messy play event for children in the church hall. A treasure hunt around the area will keep the little ones entertained. Refreshments are available from the cafés and pubs as well as some of the gardens. All proceeds to local charities through the Astwood Bank Carnival. Plant sales at some gardens. £6.00 entry covers both days, accompanied under 16 free. Botany Bay Nurseries, Edgioake Lane and St. Mathias and St. George Church, Church Road. 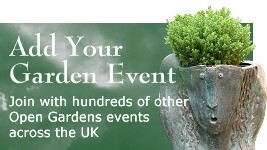 Advance tickets are available at a discount from Botany Bay Nurseries website from mid-April. 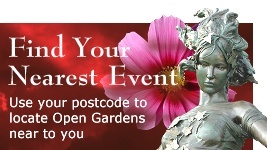 Approximately 25 gardens will be open, but the total may vary from day to day - please contact the organisers if you need exact numbers. Astwood Bank is south of Redditch in Worcestershire. It is situated on the A441 Evesham Road which is the main trunk road from Redditch to Evesham. It is 20 minutes from Stratford upon Avon and about 30 minutes from Worcester. Parking available at The Ridgeway Academy and at Astwood Bank Primary School.